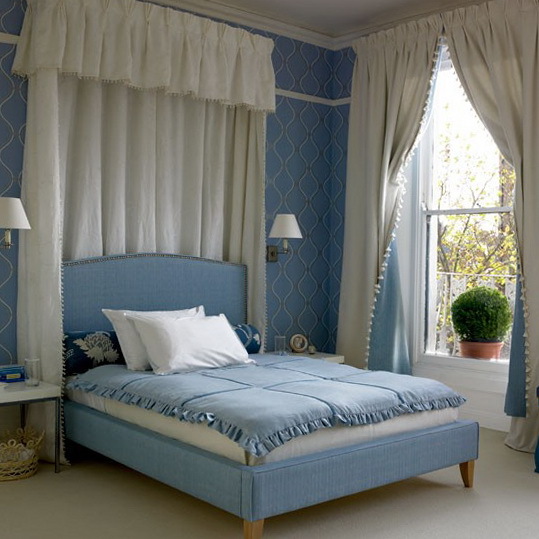 Proving that vintage doesn’t necessarily mean kitsch, this classically luxurious room nods to a bygone era of elegance with a soft white and Wedgwood blue colour scheme and long, draped curtains behind the headboard and window. 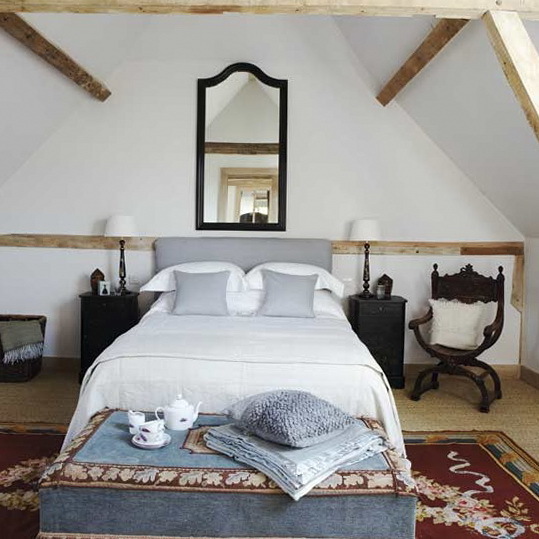 The classic sleigh bed and warm wooden furniture give this bedroom a traditional feel. The chandelier adds a little luxury and the old prints in matching frames are given a modern twist by being displayed in a cluster. 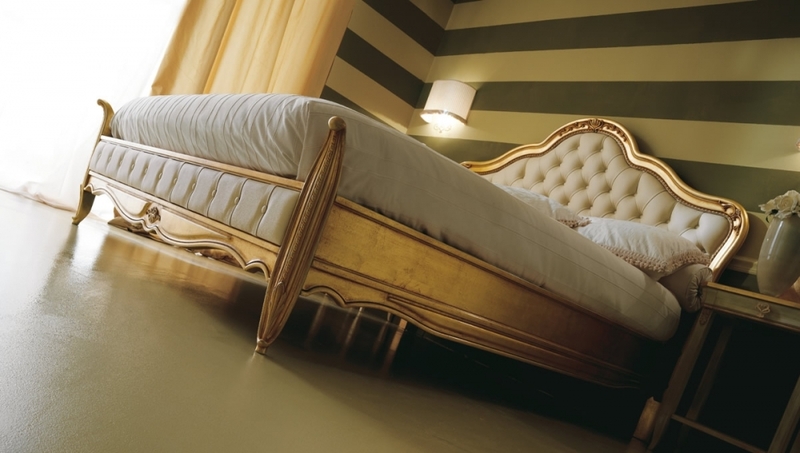 A traditional bedroom doesn’t have to be stuffy or boring, we love the modern horizontal striped wallpaper, and the colour palette is really relaxing, too. The original beams in this country-style bedroom give the room a slight chapel feel, and the antique throne-style chair and velvet ottoman add to the reverential calm of this bedroom. 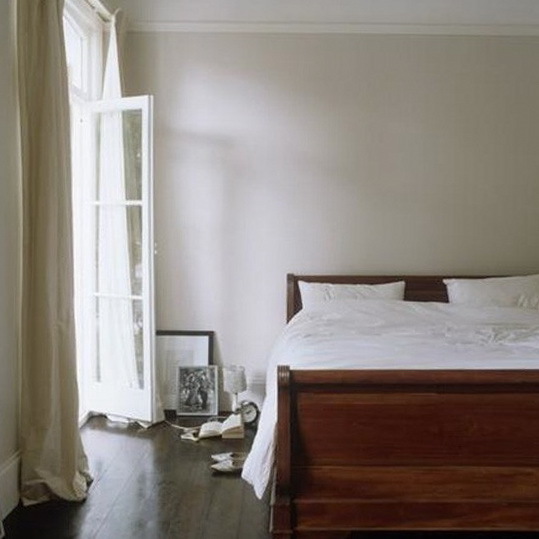 Many of us dream of a minimal, serene bedroom but few of us ever achieve it. The key is always lots of hidden storage. 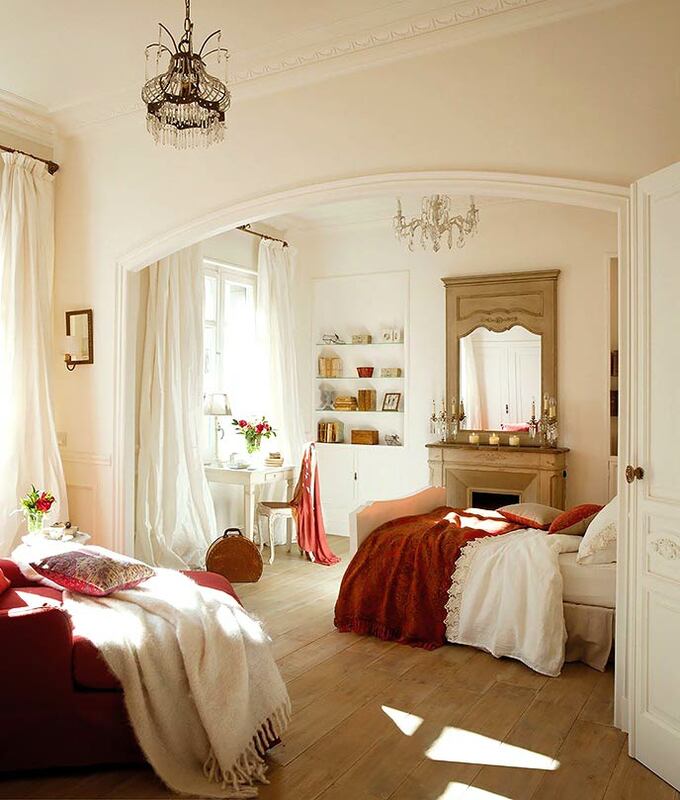 This traditional bedroom is a perfect example of a warm but minimal bedroom. 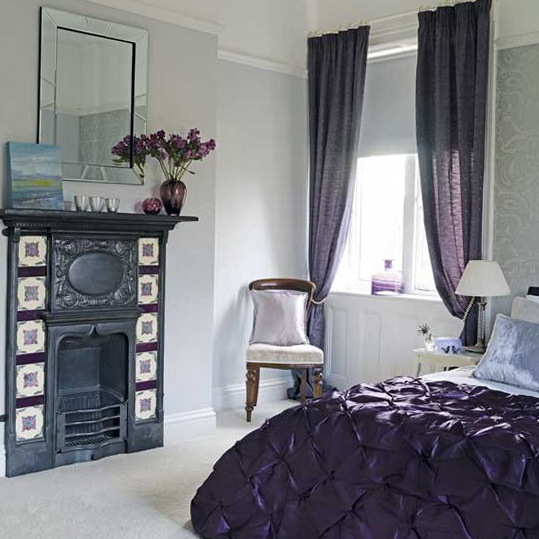 If you’re stuck for a colour scheme in your bedroom pick one object, such as the fireplace in this room, and work the colours into your scheme – it cannot fail to look beautiful. 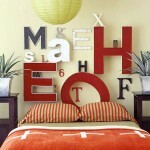 Art Deco is a huge trend right now, and a traditional bedroom is a great fit to an Art Deco scheme. 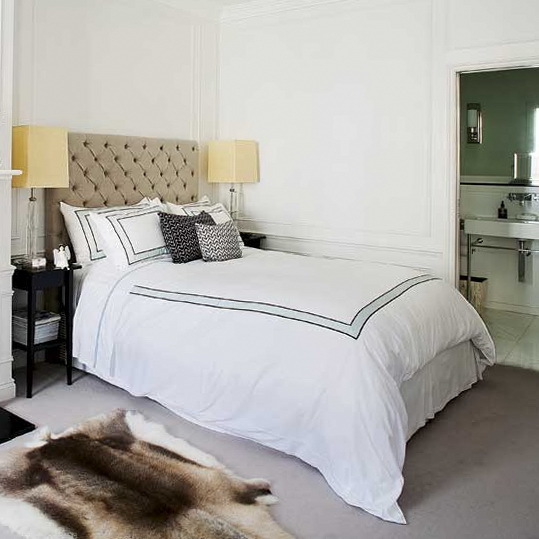 Crisp white bedlinen creates a fresh feel in this bedroom, while the faux fur rug adds a touch of glamour. 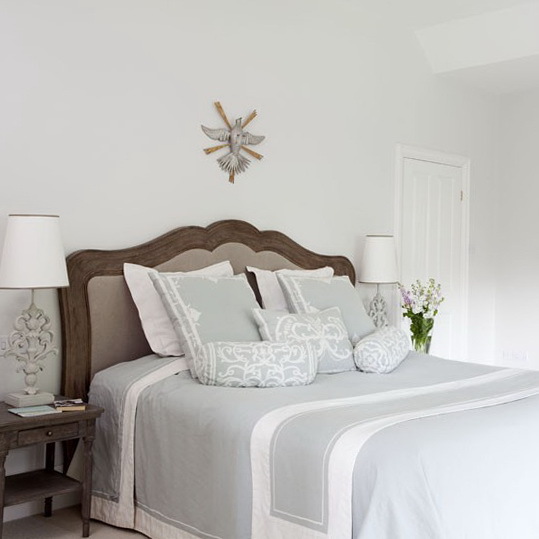 We love this colonial style tradtional bedroom; even if you’re only in Blighty you’ll feel as if you’re somewhere warmer. 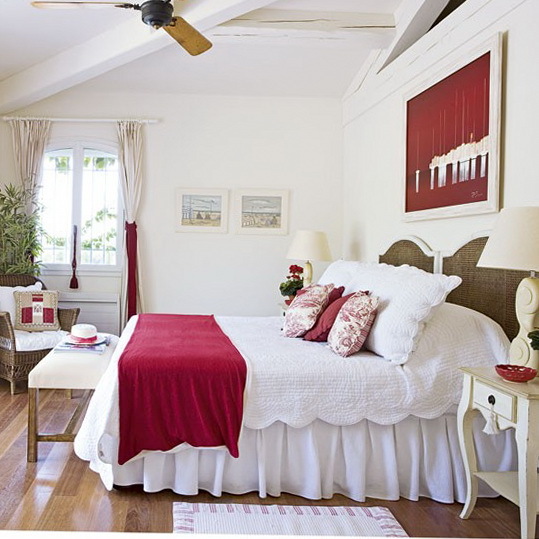 White walls, cream bedroom furniture and touches of red are perfectly balanced, and the wooden floor ensures the whole scheme remains light and airy. 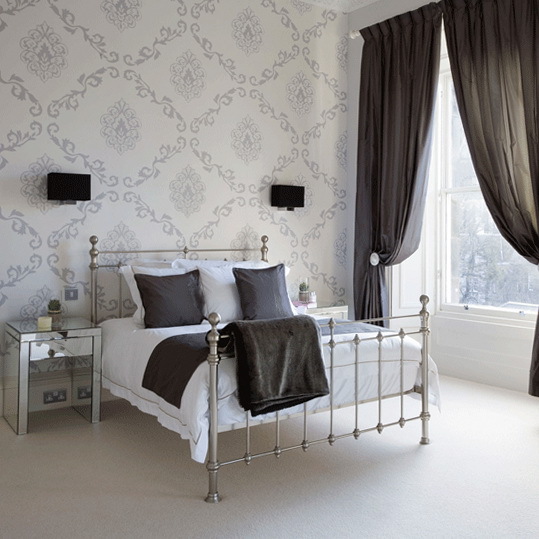 A traditional Victorian-style bed is teamed with modern damask wallpaper and elegant curtains for a dramatic look that marries old and new styles. Shimmering fabrics add to the glam factor. 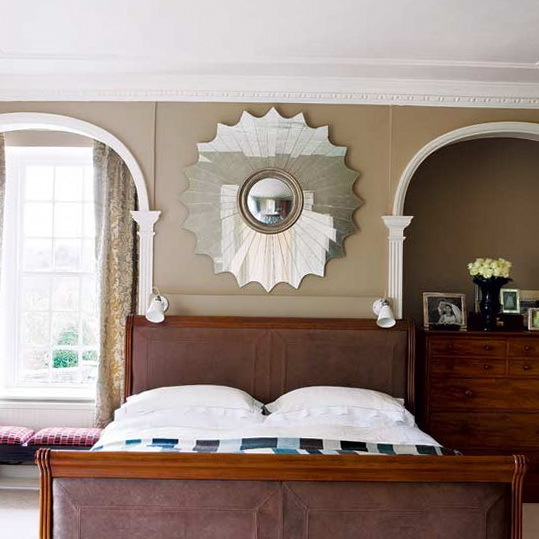 A perfect example of how you can create a room scheme that works in harmony with the architecture, namely the two large arches. 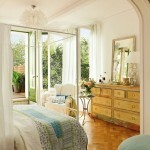 The huge mirror adds to the glamour and order – we love it.